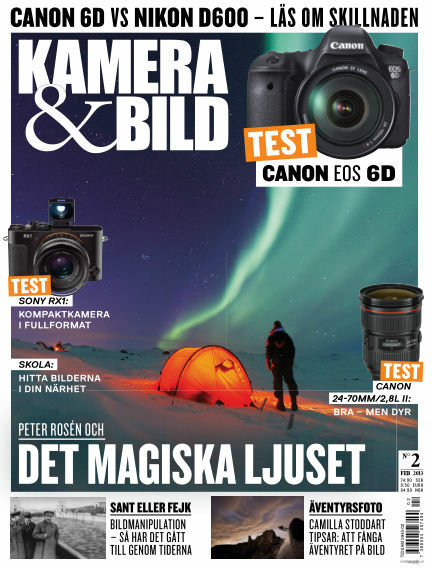 In this issue of Kamera & Bild : Camilla Stoddart, Photoshop - Adaptiv vidvinkel i CS6 och Sony RXI. Test Canon EOS 6D VS Nikon D600. With Readly you can read Kamera & Bild (issue 2013-02-05) and thousands of other magazines on your tablet and smartphone. Get access to all with just one subscription. New releases and back issues – all included.